Quantity sold : Set. Condition : New. Therefore all implied warranties that may apply to your part are limited to the duration of this written warranty. Each warranty gives you specific rights, and you may have other rights which vary from state to state. "DNJ Main Bearing --. Quantity sold : Set. Condition : New. Made with highly durable materials for lasting strength and service. Therefore all implied warranties that may apply to your part are limited to the duration of this written warranty. 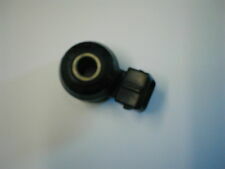 THIS KNOCK SENSOR FITS ALL NISSAN PATHFINDERS 1991 THRU 2000 WITH 6 CYLINDER 3.0 AND 3.3 ENGINE. Engine Heater - Freeze Plug Type #3100009 Zerostart. TIRE CHAINS. TIMING BELT. Tire Chains And Accessories. Timing Parts/Kits-Valve Train. Rotating Electrical. Radiators And Cooling. Ignition and Filters. Gaskets / Sets & Seals. Part Type: Brass Deep Cup Freeze Plug. Feature 4: For applications over 35 years old. FIND THE RIGHT PART FOR YOUR CAR. Overdrive has been in the automotive parts industry for over 15 years. MIRROR ASSEMBLIES. Overdrive has been in the automotive parts industry for over 15 years. FIND THE RIGHT PART FOR YOUR CAR. Newly Listed. QUICK LINKS. MIRROR ASSEMBLIES. MIRROR GLASS. OTHER PRODUCTS. Warranty Type: Manufacturer Warranty. WARRANTYWarranty Duration: 1 Year. Part #: 381-8092. Warranty Type: Manufacturer Warranty. WARRANTYWarranty Duration: 1 Year. Part #: 381-9667. The engine types may include 3.0L 182Cu. V6 GAS SOHC Naturally Aspirated, 3.0L 2960CC 181Cu. V6 GAS DOHC Naturally Aspirated, 3.0L 2960CC 181Cu. This part fits vehicles made in the following years 1984, 1985, 1986, 1987, 1988, 1989, 1990, 1991, 1992, 1993, 1994, 1995, 1996, 1997, 1998, 1999, 2000, 2001, 2002. We are proud to say we have chosen to associate with manufacturers who are certified with ISO9001, ISO9002, and with the prestigious QS9000 certificate. Big Red Auto Parts is third generation family owned and operated. Select "More Actions, Cancel Order". Cancelations and Changes. No exceptions. Engine Parts. Oil Coolers. Warranty: 1 Year. Manufacturer Part Number: 565-100. Condition: New. Engine code: VG30DE, VG30E, VG33E, VE30DE, VG30DETT, VG30, VG30I, VG30T, VG33ER. Rush My Parts will not be responsible for any labor, towing, fluids, Freon, filters, lodging, and car or truck rental. Part Number: 10417. Warranty Duration:1 year. Steel Cup Expansion Plug 30.25mm, Height 0.301. Overdrive has been in the automotive parts industry for over 15 years. FIND THE RIGHT PART FOR YOUR CAR. QUICK LINKS. MIRROR ASSEMBLIES. MIRROR GLASS. OTHER PRODUCTS. Key Search Words - 2000 : Engine, Expansion, Plug, Plugs. l4 GAS OHV Naturally Aspirated, 3.0L 2960CC V6 GAS DOHC Naturally Aspirated, 1.8L 1839CC l4 GAS DOHC Naturally Aspirated, 1.9L 1858CC l4 GAS Naturally Aspirated, 2.7L 2694CC l4 GAS DOHC Naturally Aspirated, 2.0L 1998CC 122Cu. MPN: 10227. Cap Depth: 1.06. Type: Mini Cap. FIND THE RIGHT PART FOR YOUR CAR. Overdrive has been in the automotive parts industry for over 15 years. QUICK LINKS. MIRROR ASSEMBLIES. MIRROR GLASS. Portions of the part information on this page have been provided by WHI Solutions, Inc. Warranty Type: Dealer Warranty. WARRANTYWarranty Duration: 1 Year. 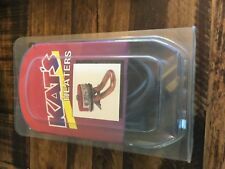 Portions of the part information on this page have been provided by WHI Solutions, Inc. Warranty Type: Manufacturer Warranty. WARRANTYWarranty Duration: Other. No local pickup option available. Our administrative offices are located in Union, New Jersey and distribution facilities are located throughout the US. The item specifics section also contains important details. Warranty Duration:1 Year.